The Cross Cultural Centers and University-Student Union honor women faculty, staff, and administrators from Cal State LA for their many outstanding achievements and contributions to the community. 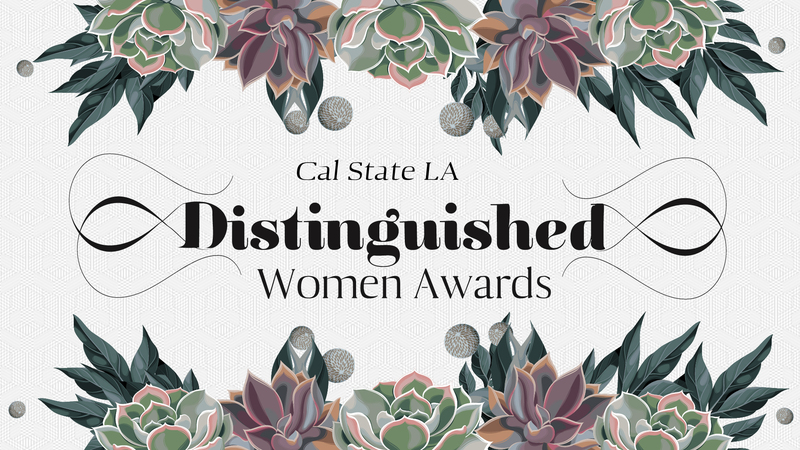 Women are recognized for a variety of achievements in the nominee's field, significant contributions to Cal State LA, commitment to students, commitment to women's issues, community involvement, and professional recognition. We welcome both self-nominations as well as nominations from faculty, administrators, staff, and students of outstanding women on campus. Nominees must be full-time employees of Cal State LA or its auxiliaries. Emerti faculty are eligible, however past Distinguished Women Award recipients are not eligible.